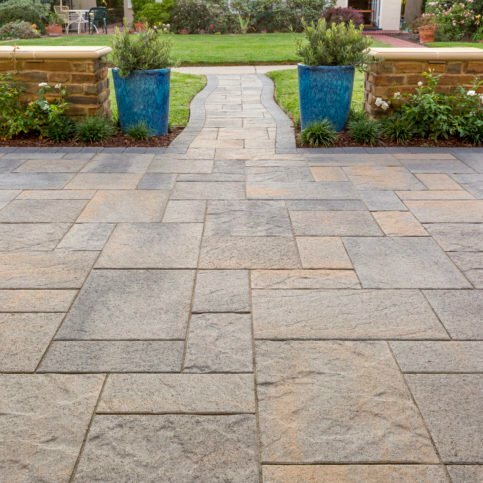 Paving stones are a smart choice for almost anywhere around your home and garden. They look great around a pool, to make a path, paving stone driveway, and for your patio. The choices are almost endless when you choose paving stones, as they come in a variety of materials, shapes and colors. Because there are so many choices, you may feel overwhelmed making a decision on exactly which pavers you want. 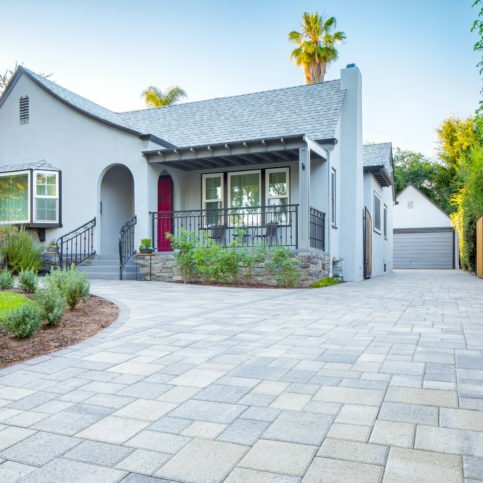 That is why it is important that you choose an good paving stone contractor in Alameda County that can help you navigate the challenge of paving choice selection and design. 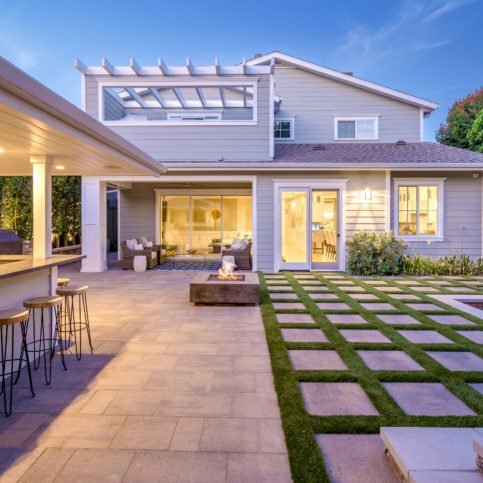 A Diamond Certified paving stone contractor in Alameda County including in the cities of Oakland, Fremont, Hayward, Berkeley and San Leandro can help manage your paving stone project. They can ensure your paving stones are beautiful, elegant, and will last for generations. Proper installation of paving stones is important if you want to be sure that your paving stones won’t crack or shift. And pavers are easy to maintain and replace. If your paving stones ever get stained, your local paving stone installer can easily replace them with matching stones. You want to know that you are hiring paving stone installation professionals that can give you the high quality results you are looking for. This is why it is so important that you research the best paving stone contractors in Alameda County. But most homeowners don’t know where to begin to find an Alameda County paving stone contractor. So how can you trust that the contractor you have hired has the skill and experience to correctly install new pavers? There are so many styles and types of paving stones that your head may swim. That’s why you want to choose a good local paving stone contractor. 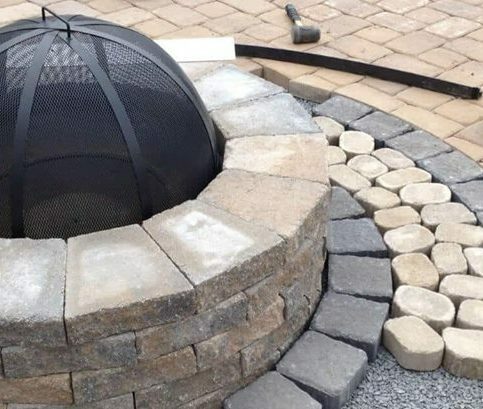 They are more likely to be available to answer all of your questions and to help guide you through the process of choosing the pavers that are just right for your project. Homeowners often choose concrete paving stones and natural stone pavers because they come in many colors and are extremely strong. Colors range from shades of red to shades of gray, including orange, tans, browns and burgundy. Some types of pavers use a combination of colors. Did you realize that paving stones are even stronger than concrete? While concrete can withstand pressures of up to 2,000 PSI, many paving stones can withstand over 8,000 PSI. Pavers also last longer than asphalt and other paving options. Paving stones are also known to be extremely durable. They move with the earth as it swells and contracts and, as a result, are almost indestructible. While cracks in concrete can lead to expensive repair projects, repairs of paving stones are quite easy and made by simply re-setting the paving stones. They are also easy to maintain. The best way to choose the right paving stone is to find a good paving stone contractor in Alameda County. They will help you design your project using different colors and textures. 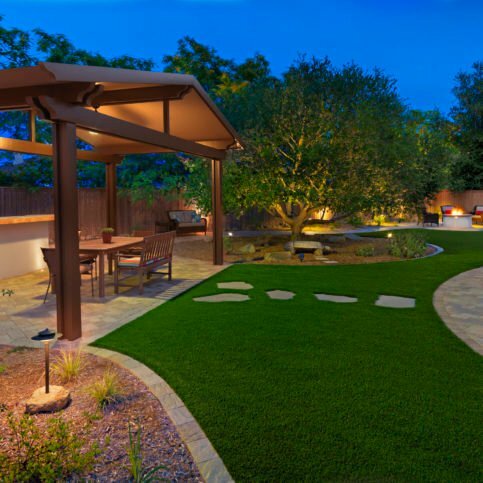 The final design will compliment your landscape and house. While you may be able to pick out the best color and style, if the installation is done incorrectly none of this will matter. Once you’ve decided to install paving stones, you’ll probably be in a hurry to hire a contractor and get the work started. However, it’s in your best interest to take your time and research a few local contractors to find the one that will perform best on your job. While it’s best to simply choose a Diamond Certified paving stone company because of their Highest in Quality rating, that may not always be possible. If you’re unable to choose a Diamond Certified contractor in your area of Alameda County, you can improve your chances of hiring a good paving stone contractor by checking out candidates on the Contractors State License Board website to ensure active license and workers’ compensation insurance. Violations and license revocations will appear on their license record, so you’ll know about serious customer grievances and complaints that have been filed with the state against a particular paving stone installation company. Then verify additional company credentials. Paving stone contractors who are members of local organizations and associations may offer better service, and you’ll be able to see their past records, including complaints and legal action. Why Trust Diamond Certified Paving Stone Companies Rated Highest in Quality? Andrew Headington is sales manager of System Pavers, a Diamond Certified company since 2004. He can be reached at (877) 303-8236 or by email. Outside of work, Andrew can often be found pursuing one of his three main hobbies. “First off, I brew my own beer, which I’ve been doing for about 15 years,” he explains. “Secondly, I play guitar in a local band called Polkalicious that gigs around San Francisco and the Greater Bay Area. Basically, we take hits from the ’80s, ’90s, and today and turn them into polka songs. Thirdly, I’m an avid kiteboarder. Kiteboarding is like surfing, but you have a giant kite attached to your surfboard and use the wind to navigate your way around.” In addition to these pastimes, Andrew enjoys working on his house, hiking and snowboarding. A: Sol Food in San Rafael. A: I’d go to the past to uncover some of the mysteries of ancient times. For example, I would love to go back and see how the Egyptians built the pyramids. Q: What’s your favorite Bay Area brewery? A: Russian River Brewing Company in Santa Rosa. A: The banjo that’s hanging on my wall. Maybe I’d start a bluegrass band in addition to my polka band. 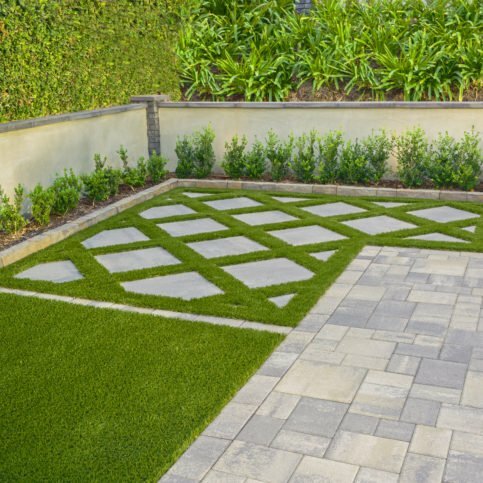 System Pavers gave this artificial turf a makeover by installing retaining walls and a stepping stone pattern. System Pavers transformed this front patio with natural stone accents and a herringbone paver pattern. System Pavers used an angled pattern to install this natural stone paved driveway. 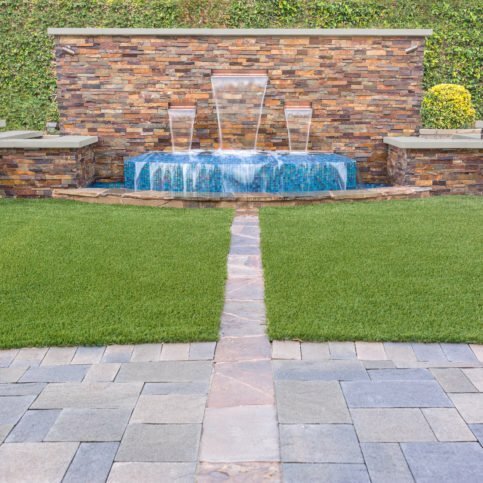 This water feature is surrounded by a turf putting green and a natural stone accent wall. 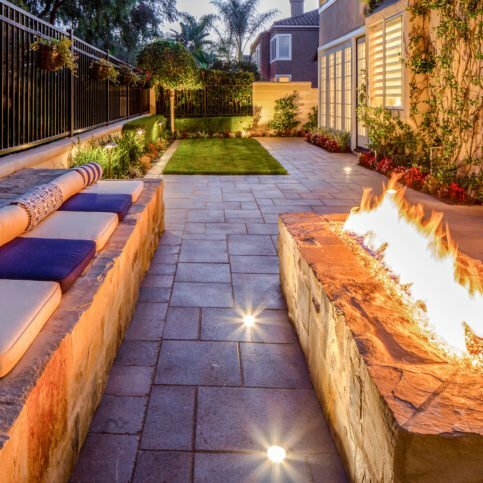 This project features an in-ground fire pit and bench seating surrounded by a paved patio with earth tones and an LED lighting system. 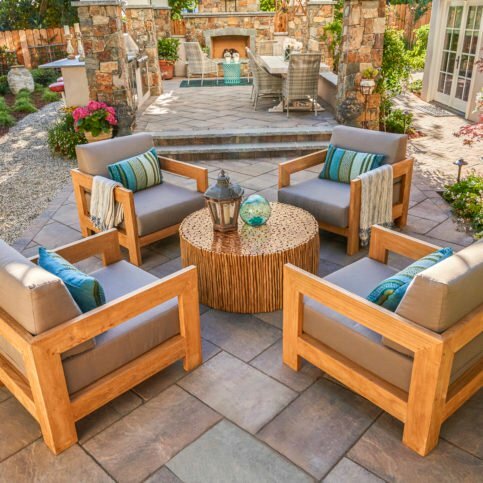 This outdoor living space features stone pavers and a dining area. 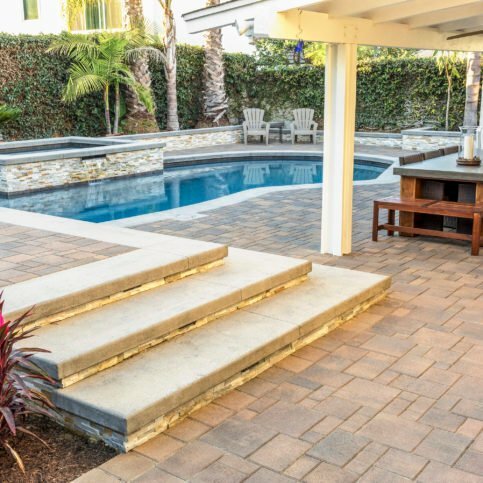 System Pavers used pavers and natural stone stair risers to transform this modern pool deck. 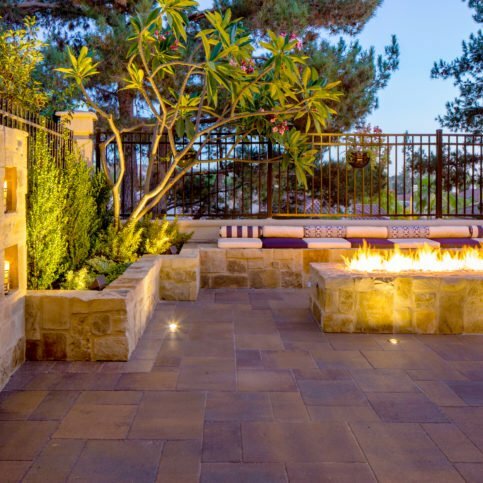 This paved patio is accented by natural stone sitting walls and planters. System Pavers transformed this patio by installing artificial turf, paver walkways, an outdoor kitchen, a fire pit and an LED lighting system. 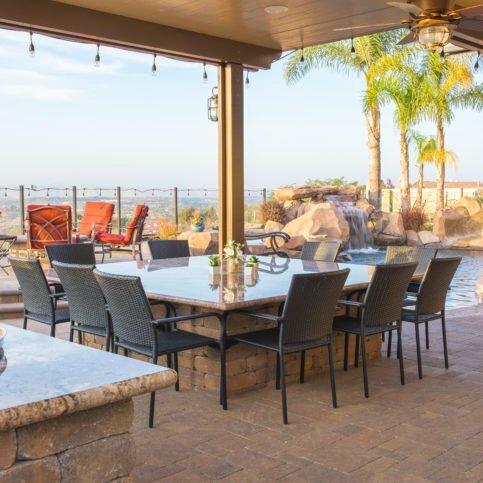 This outdoor dining area features capri stones, a granite countertop and patio paver flooring. System Pavers installed a natural stone fire pit and bench seating to enhance this paved patio. System Pavers installed this natural stone water feature with a three-tiered waterfall design. 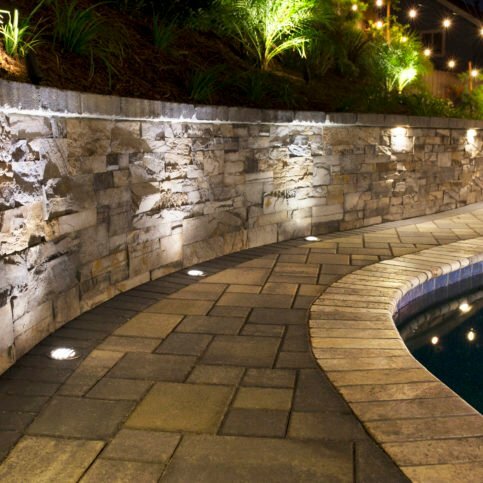 These pool deck pavers are accented by low-voltage LED lights and a natural stone retaining wall. 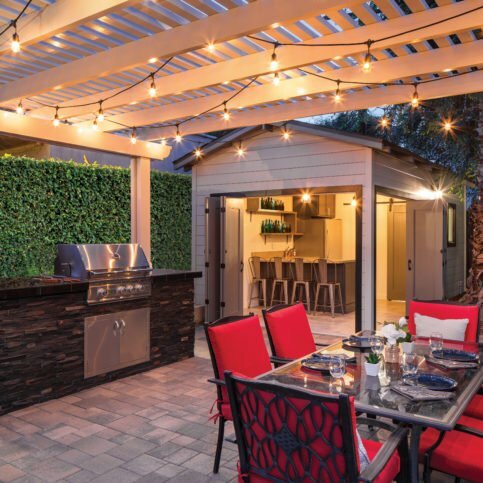 This outdoor kitchen remodeling project features a built-in barbecue island with natural stone and paved patio flooring. 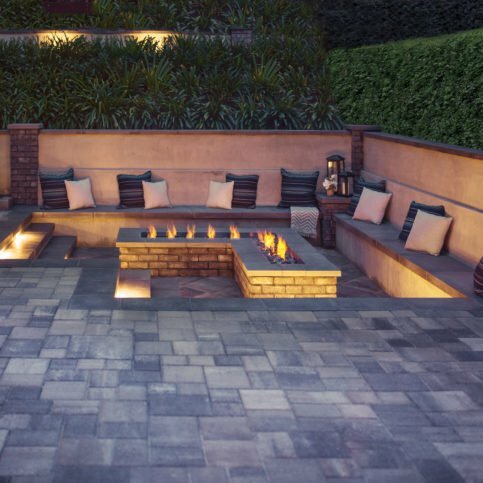 System Pavers used capri stones and patio pavers embraced with sitting walls on this outdoor fireplace installation. 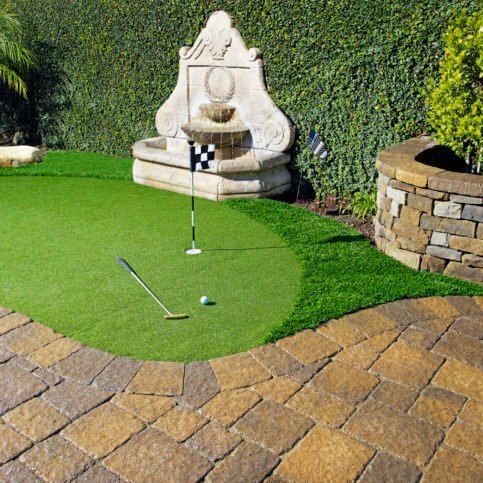 This artificial turf putting green installation features a natural stone sitting wall and square patio pavers. 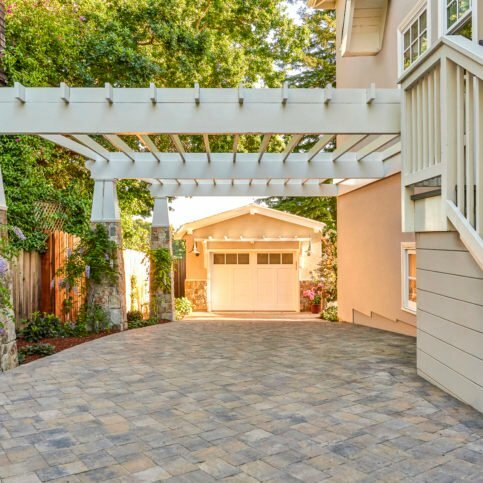 This stone paver driveway features a pergola cover. System Pavers included a natural stone water feature and artificial turf in this modern patio redesign. 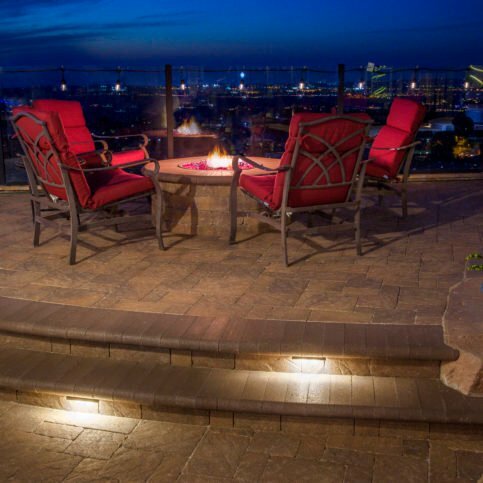 System Pavers used pavers and a low-voltage LED lighting system to transform this backyard. System Pavers transformed this driveway/walkway by installing pavers in natural earth tones accented by a natural stone planter column. System Pavers used large format paving stones, artificial turf and a low-voltage LED lighting system to transform this patio. 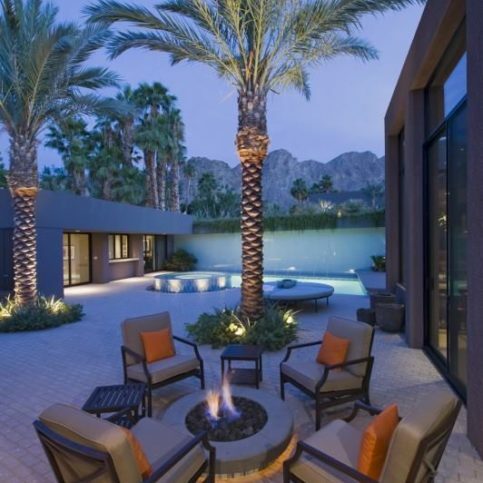 System Pavers enhanced this paved patio by installing LED lighting that leads to a capri fire pit. 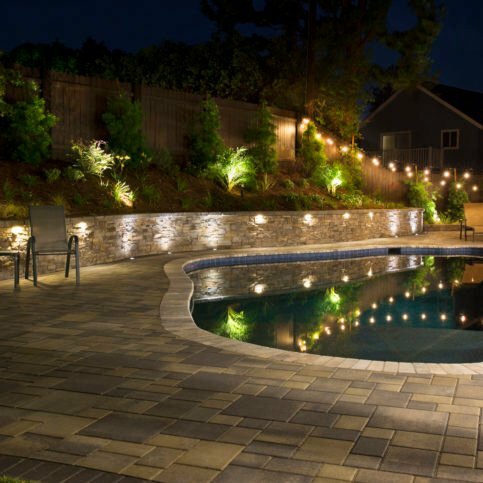 System Pavers transformed this backyard by installing tumbled paver stones, pool deck pavers and pergola columns sourced from natural stone, all enhanced via an LED lighting system. System Pavers installed this pergola-covered outdoor kitchen and stone patio pavers. 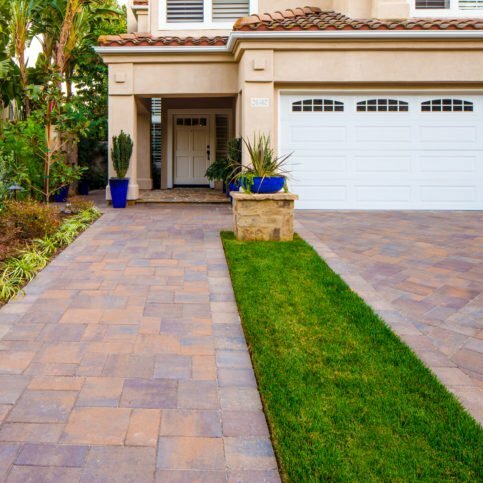 This driveway features natural gray pavers leading to a paved walkway. 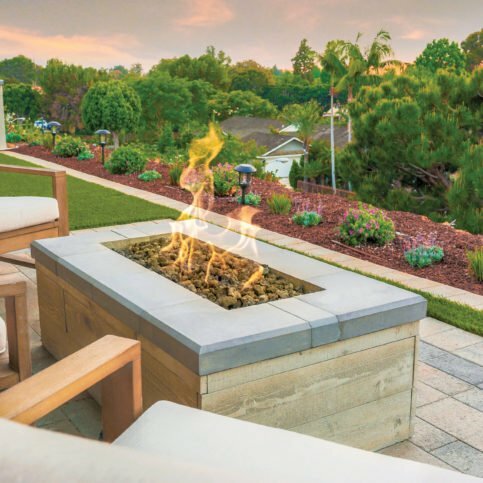 This patio project features a rectangular natural stone fire pit and bench seating. After you have done initial research, talk with a few local paving stone contractors in your area of Alameda County. Create a list of questions and use that list when talking to paving stone contractors. Write down each contractor’s answers so you can easily recall which contractor was best able to meet your needs. You do not need to request an estimate from every stone paver company you interview. If they do not meet your expectations or they don’t have satisfactory answers to your questions, move on to the next company. Before interviewing possible paving stone installation comanies, you need to know what you are expecting from your paving stone project. Have an idea of your timeline, style, color, budget, etc. Do I want a Diamond Certified paving stone installation company that is rated best in quality and backed by the Diamond Certified Guarantee? Are there any changes or repairs I need to have done to the house before I have the new paving stones installed? What personal and professional characteristics would I like my Alameda County paving stone contractor to have? These may include good communication skills, timeliness, honesty, integrity, and reliability. 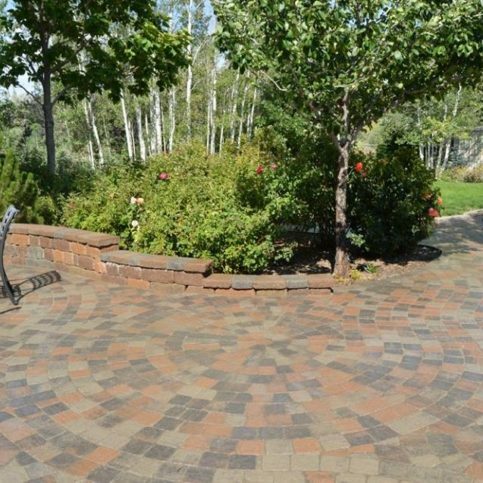 What paver color and style am I looking for? Will this compliment my existing landscaping and house? 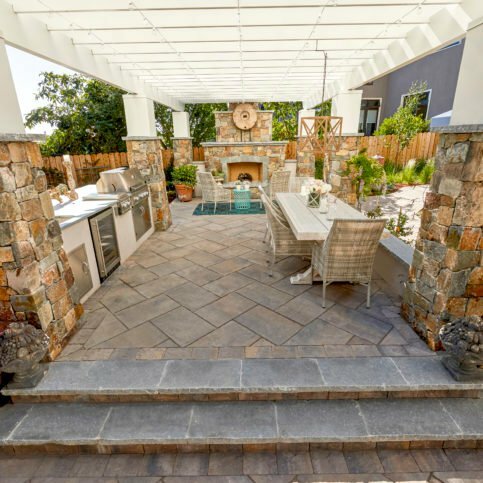 Once you have narrowed the field to a few of the best Alameda County paving stone contractors for your job, invite a few to meet you in person to bid on your paving design or paving stone installation. What warranties or guarantees do you offer on your paving stones and paving stone installations? Are the products you use environmentally safe and safe for children, pets and my yard? Can you provide me with 10 references of clients who had similar paving stone installations to what I’m considering? Will you provide a written contract for paving stone installation services? Do you hire subcontractors for paving stone installation? If so, do they carry their own insurance or are they covered by your policy? Are concrete pavers or natural stone pavers a good fit for my needs? What types of paving stones do you recommend for areas like mine? When can you start the paving stone installation job? It’s best to choose a Diamond Certified paving stone contractor because all certified companies have passed an in-depth ratings process that most other companies can’t pass. 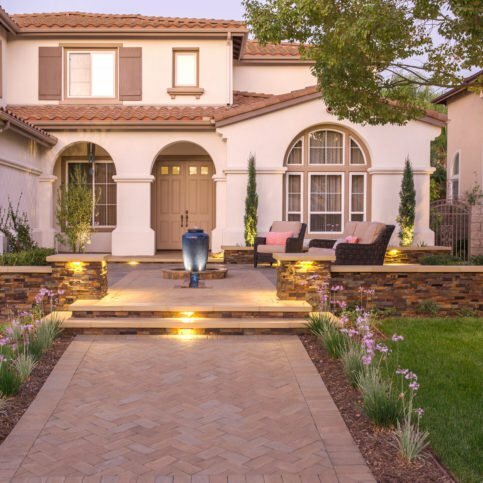 If you want quality from a paving stone contractor in Alameda County and the greater Bay Area, you can have confidence choosing a Diamond Certified company. Diamond Certified reports are available online for all certified companies. And you’ll never be fooled by fake reviews. That’s because all research is performed in live telephone interviews of actual customers. If you can’t find a Diamond Certified paving stone contractor within reach, you’ll have to do some research on your own. If you do, it’s wise to call some references provided by your paving stone contractor. Keep in mind, though, that references provided to you by the paving stone contractor are not equal in value to the large random sample of customers surveyed during the Diamond Certified ratings process. That’s because references given to customers from companies are cherry-picked instead of randomly selected from all their customers. So the contractors will likely give you a few customers to call that they know are satisfied. Were you satisfied with the service from this local paving stone contractor? Did the paving stone company finish the work on schedule? Would you recommend this paving stone contractor to your friends and family? 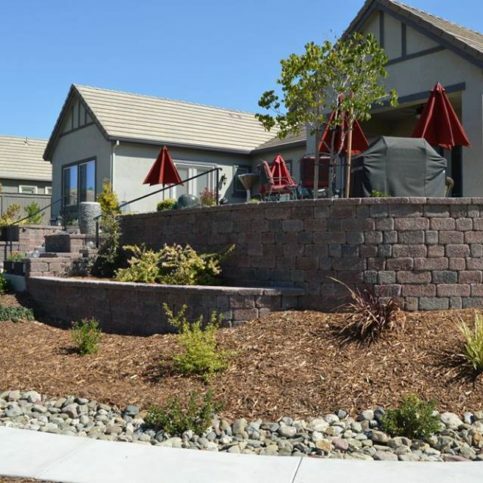 If you live in a smaller area such as Russell City, San Lorenzo and Sunol, did the paving stone contractors charge you extra to cover travel expenses? Your choice of a paving stone contractor is an important decision that will directly affect how well your new paving stone installation turns out. 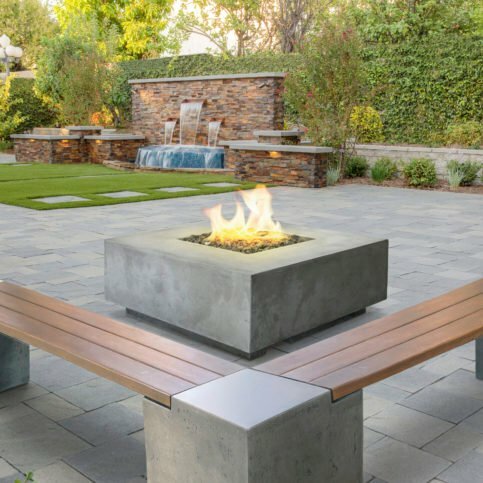 So before deciding on the best paving stone contractor in Alameda County for you, it’s important to consider the following questions. Is this estimate with in my budget for new landscaping pavers? Can the Alameda County paving stone contractors you’ve considered meet your needs when it comes to scheduling, paving stone availability, installation techniques, customer service and experience? Does the paving stone contractor offer a written warranty to back up their work? Paving stones do not have to be a major financial setback. Plan your budget and stick to it. 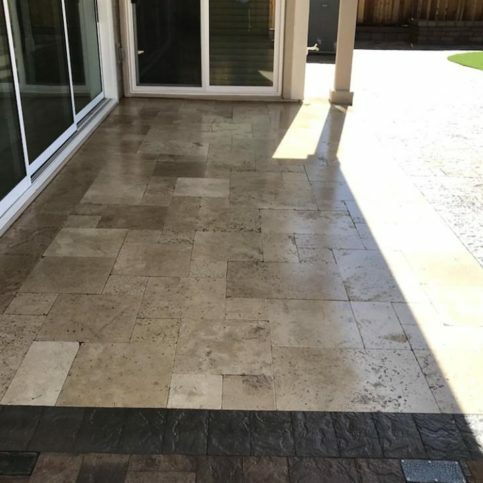 After you have found an Alameda County paving stone company in Alameda County that you can trust, you will have peace of mind having your paving stones installed. First, meet with the contractor. Use the notes that you have taken so you can accurately describe any concerns that you have. Be as detailed as possible and don’t be in a rush. It is as important for you to hear their suggestions and observations as it is for them to hear you. If you don’t understand something, ask for an explanation. You need to completely comprehend the plan and any problems or solutions. When you feel satisfied with the information you have received from your Alameda County paving stone contractor, sign the contract. Be sure that they have a phone number where you can be reached at all times. Expect the contractor to stay within the estimate. However, if the actual paving stone costs exceed the original amount of the estimate, the contractor must get your approval before moving ahead. Professional paving stone contractors are able to handle the very small to very large aspects of their work. 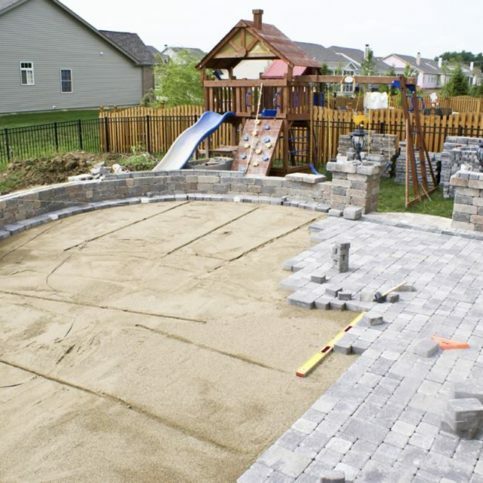 However, there are some things that you can do to prepare for them and to make their progress in putting in your paving stones go more smoothly and more quickly. Doing these things may even cut down on their labor costs and can keep your home and belongings from being damaged. Remove any furniture or movable items from the area where the paving stone contractor will be working. Before they begin work, remove anything that may be in the way such as barbecues. The more you do the more quickly they can get to work. Keep your pets and children away from the area. Your paving stone contractor will be focused on installing your paving stones and should not have to watch out for your pets or children at any time. This not only prevents accidents and injury but also any expense that comes from accidents that may happen because of children and pets being in the way. Provide parking space and room for their work vehicles to maneuver. Some paving stone contractors have large vehicles that require more space than average. Contact your contractor before they begin and ask them how many parking spaces they need and how much room they need for oversized vehicles. It is also helpful to walk through the area with your contractor so any hazards or clearance issues can be pointed out before installation of your paving stones. How Can You Be a Good Paving Stone Company Customer? It’s the paving stone contractor’s responsibility put in quality pavers using the best possible installation techniques. But you play a big part in the success of your paving stone project, too. Here are a few simple steps you can take to be a good customer when hiring an Alameda County paving stone installation service. Be clear and upfront with the paving deck contractor. Let them know what you want from your paving deck installation, the long-term outcome you’re expecting and specific ways they can satisfy your expectations. 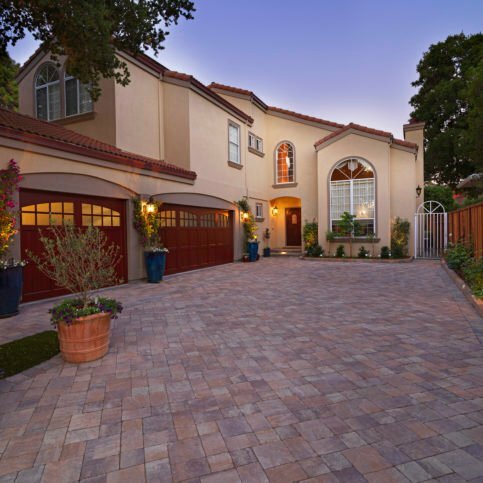 Before you hire a paving deck contractor in Alameda County, restate your expectations and goals, and reiterate to the paving stone representative your understanding of the agreement. Most problems with local paving stone contractor occur because of a breakdown in communication. By being clear about your expectations and theirs, you can avoid most conflicts. Ask your paving stone contractor if you should call to check on the progress or if he will call you with updates. Be sure your service representative has a phone number where they can reach you at all times while they’re installing your paving stones. The work will move along more smoothly if your paving stone contractor can reach you for any necessary updates, questions or work authorizations. When your contractor contacts you, return calls promptly to keep the paving stone contractor on schedule. Pay for the paving stone work promptly. Why would you want to be a good customer? Paving stone contractors in Alameda County appreciate customers who are straightforward, honest and easy to work with. Your good customer behavior sets the tone from your end and creates an environment conducive to a good relationship. Things may very well go smoother and any problems may be more easily resolved. When your paving stone installation is complete, most good contractors will give you a written invoice that details the completed work. The concrete paver contractor’s name, physical address and license number. Any applicable warrantees or guarantees provided by the paving stone manufacturers and the installation company. An itemized list of all concrete pavers/natural stone pavers and installation supplies purchased. It’s smart to compare the completed work with the written invoice. Ask your paving stone contractor to walk through the jobsite with you and show you the completed installation. During the walk-through, ask if there are any special instructions for cleaning and maintaining your paving stones. This is also a good time to verify warranties and ask any questions you mayhave about the work or materials. Warranties are an important form of protection that can save you time, hassle and money in the event of a product failure or installation problem. Most good paving stone contractors offer some type of warranty on the paving stones they install and on their installation services. Ask that the details of the warranty be provided to you in writing and are specific to your paving stone installation. The paving stone installation contractor’s name and physical address. Which products and parts of the paving stone installation are covered. This should also include whether the paving stone contractor will replace or repair your paving stones in the event of a product failure. Your responsibility if you place a warranty claim on either the pavers/paving stone installation materials or workmanship (i.e., if you have to pay for labor or replacement pavers, or if you are required to pay a prorated amount). Terms, limitations and exclusions on the paving stones, materials and paving stone installation. If the warranties on the pavers are transferrable to the new owner if you sell your home. 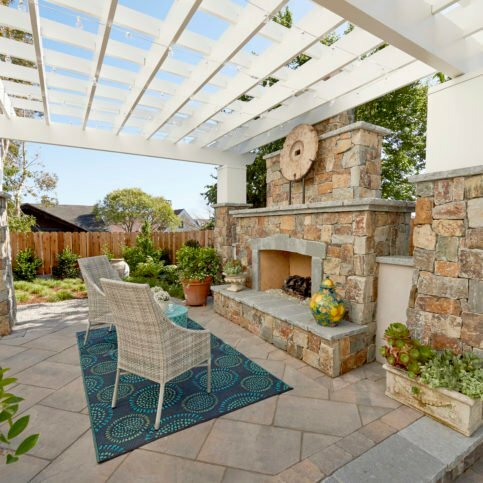 The top requests for types of pavers and paving stone services in Alameda County are listed below. Brick pavers are made with cement, sand, water, and other materials. After being mixed together, they are fired at a very high temperature. Brick pavers are very durable. 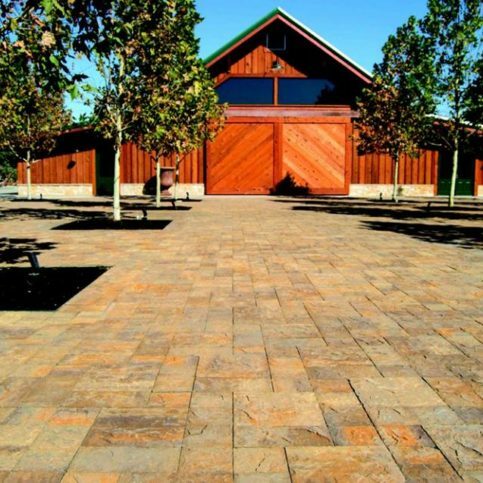 Concrete pavers come in a variety of colors and styles. They require very little maintenance and are very strong. Repairing is easy and interlocking paving stones allow them to move without damage. Natural stone paving stones are not manufactured as are concrete pavers, but rather are naturally occurring. They may be mined stone or cut stone. Natural stone pavers are often more expensive; however, they are one of the most popular choices for gardens and natural areas. Interlocking paving stones connect to each other so that it limits their movement. They are usually made of concrete or cement and don’t require mortar. Sand is used as the base. Garden paving stones are used for a variety of areas including paths and sidewalk areas. Many use them as stepping stones. Garden paving stones also work well for edging garden areas. They keep your garden from being trampled by unknowing guests. The way garden paving stones are laid out can provide direction for walking around a garden area. Glass paving stones can be used for paving but they are not the same as those used for windows and walls. Glass paving stones can be illuminated and as a result they have a striking appearance. If you are putting in lighting, there will be other considerations such as drainage that will need to be taken into account. Pool paving stones are used around a pool area. They have many colors and styles and a variety of materials to choose from. One of the issues with using pavers is to choose a foundation and sealer that is stable. Sand needs to be kept from washing into the pool. Also, the pavers must be non-slip for safety. Walkway paving stones can be used for both commercial and residential projects. They can be used for driveways, courtyards, balconies and patios. They come in many colors and shapes and sizes. Walkway paving stones add elegance and beauty. They are very easy to maintain with sweeping and rinsing or washing. Driveway paving stones are becoming very popular. They not only look beautiful but they can increase the value of your home. A paving stone driveway does need a protective coating applied every couple of years. You can choose from brick, concrete, interlock and many other materials. Granite Paving Stones Granite paving stones have been around for a long time. It is used for patios and walkways. Granite is quarried and comes with a large variety of colors and patterns. Granite is completely fireproof and heat resistant which makes it an excellent choice. Granite is one of the more expensive materials but it will last for years. The following brands of stone pavers are some of the most commonly requested. Ask your paving stone contractor which brands of pavers they recommend for your particular job. Aggregate is a combination of crushed rock, sand and gravel. It is used as a base for pavers. Base is a layer of aggregate which is used as a foundation for pavers. This base supports the pavers. 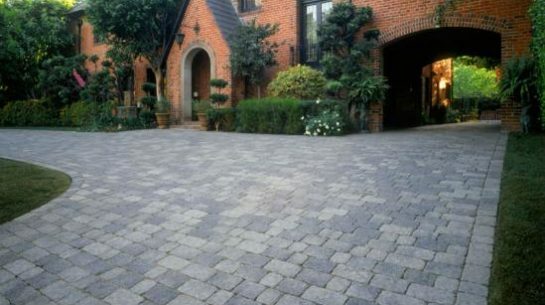 Blending pavers refers to when 2 or more colors of paving stones are used. Brick pavers are made from clay and shale and are fired. They are usually stronger than bricks. Cambridge pavers are made by Cambridge Pavingstones. They are sturdy and have a coating that protects their strength and color. 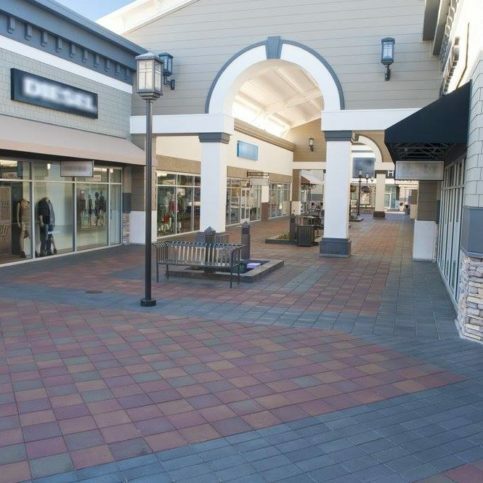 Cantera pavers are made from volcanic ash. They are lightweight and can be used in fountains, barbecues, etc. Cement-aggregate ratio is the ratio of cement to aggregate and is measured by weight usually. Clay is used for pavers which are best for paving driveways and patios. The color doesn’t fade and they are strong. Cobblestone pavers are made from riverbed rocks. They are usually used in decorative paving. 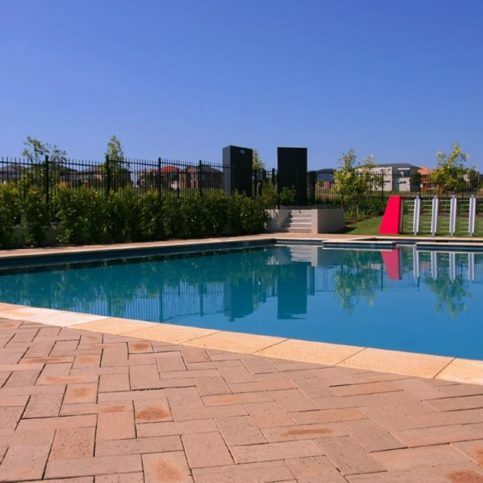 Concrete pavers are concrete based paving stones. They are strong and durable and come in many colors, shapes and sizes. Concrete sand is used for aggregate and base layers for paving stones. Crushed rock is used an an aggregate and base for pavers. It can also be used for a decorative layer. Denated pavers are round or odd-shaped. 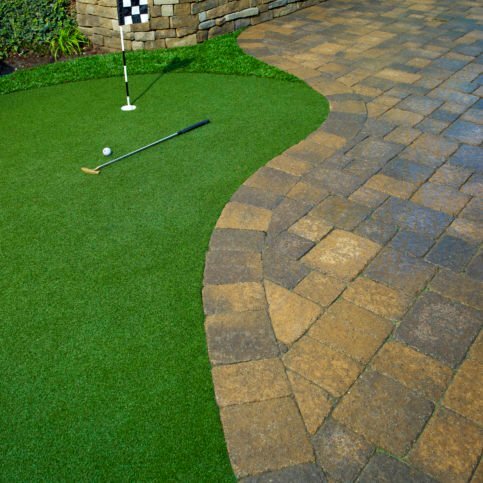 Edge pavers are pavers that are used to edge paths or sidewalks or driveways. They can be purchased with straight edges or made straight by the contractor. Edge restraints are used to keep pavers in place at the edge of driveways or sidewalks. Engraved pavers are pavers that have been engraved or etched with images. Words may also be engraved. Erosion happens when weather wears away soil or rocks. Some pavers are made to limit erosion. 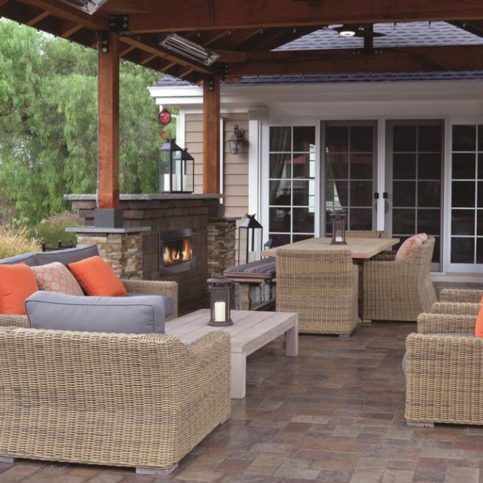 Freeze-thaw durability is the ability of pavers to stand up to freezing and thawing cycles. Frost action is the action of freezing and thawing on paving stones which causes cracking and chipping. Frost heave is the movement of the ground upward which may lift pavers. Pavers should have some room for frost heave. The process of putting in or installing for use. Interlocking paving stones are pavers that are locked together creating a solid surface. Landscape paving stones are pavers that are used for landscaping yards. Paving stones are bricks or stones used for paving. Paving stones designs are bricks or stones used for paving that are put into a planned pattern or design. Paving stones installation is the process of installing or laying paving stones. Types of paving stones are the choice of different materials or types of paving stones which can be made of granite, concrete, or other materials. 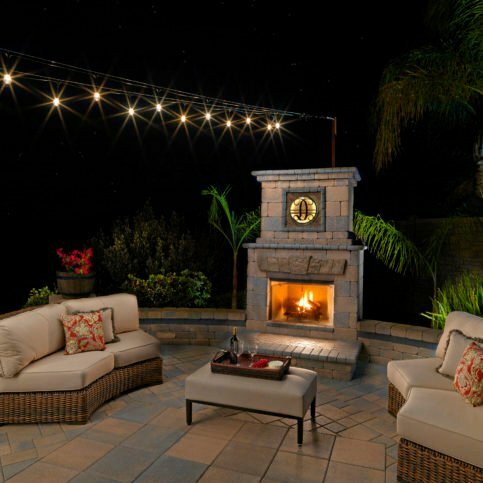 Q: Why choose a Diamond Certified paving stone contractor in Alameda County? A:Diamond Certified helps you choose a paving stone contractor with confidence by offering a list of top-rated local companies who have passed the country’s most in-depth rating process. Only paving stone contractors rated Highest in Quality earn the prestigious Diamond Certified award. Most companies can’t pass the ratings. American Ratings Corporation also monitors every Diamond Certified company with ongoing research and ratings. And your purchase is backed by the Diamond Certified Performance Guarantee. 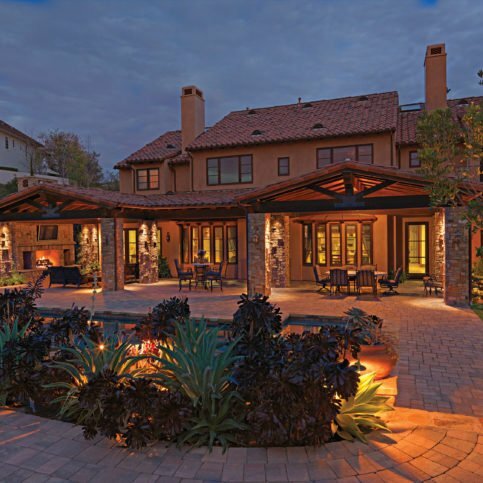 So you’ll feel confident choosing a Diamond Certified paving stone contractor. Q: Are pavers appropriate for using on a driveway? A: Yes! Paving stones are great for driveways. 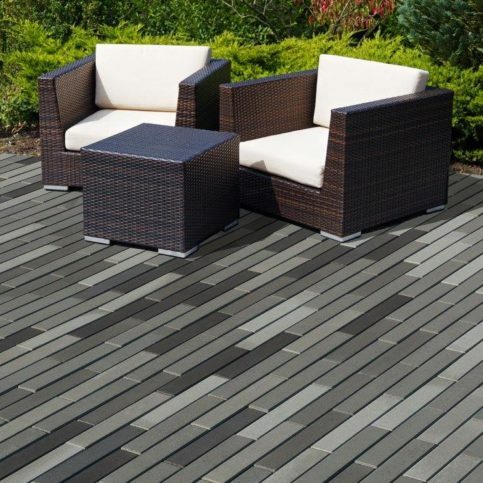 You need to choose an appropriate base material for the paving stones. This base must be compacted. Q: Is it possible to use paving stones over my already existing concrete? A: While it is possible to install paving stones over concrete, you may need a material on top of the concrete before laying the paving stones. You might want to have the concrete removed. Many times it is not that expensive. Q: Do concrete pavers need to be sealed? A: While sealing is not necessary, there are sealers available. These sealers do make stains easier to remove. This sealer is applied after the pavers have been cleaned. It soaks into the pavers and sand joints. Q: What keeps pavers from cracking like concrete? A: Paving stones have a much higher density than concrete. Also the interlocking of paving stones enables it to bear a greater load. 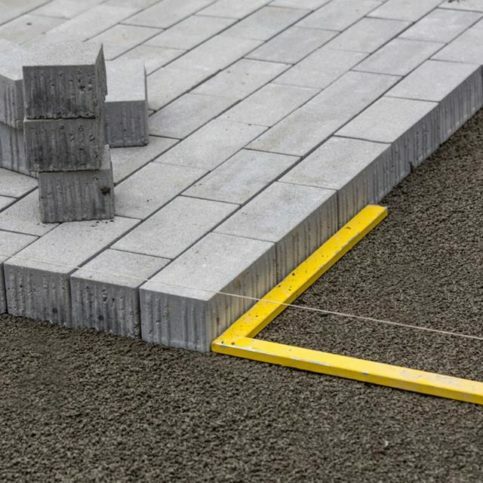 Since there are joints, these joints relieve pressure allowing movement for the paving stones. Q: How long will my new paving stones last? A: Many paving stone manufacturers offer a lifetime warranty. Because they are so easy to repair or replace, there is no reason to worry. Q: How do I go about enhancing the color of my paving stones? A: You can apply a paver enhancer to your paving stones. This will give the pavers a “wet look” and it also brings out the color. Q: Why is sand installed between the base and the paving stones? A: The sand will allow the final grade to be more precise. This sand will also keep the pavers from developing efflorescence (which is the white powder that is often seen on paving stones). The sand will also help with any drainage and allow the water to go into the base and then into the ground. The sand also acts as a cushion for the stones and helps keep them even as they settle. Q: How do I choose the right paving stones for my project? A:Because of the overwhelming choices in paving stones, this can be difficult. Not only is there a wide array of choices but you also need to know other factors (such as drainage) that will influence our decision. First, visit several paving stone companies and look at the displays. Find the stones that most appeal to you. Then, talk to the contractor and let them know which displays attract you. The contractor is qualified to guide you through the process of selecting materials. For instance, if the display that most appealed to you isn’t appropriate for your project, they can find a material that is appropriate but looks similar to what appealed to you. Let the contractor guide you through the process. Q: What are interlocking paving stones? A:Interlocking paving stones interlock to allow each to move independently. This allows the pavers to carry a bigger load because the weight is spread out. This is also the key to the interlocking paving stones strength. Q: How do I go about removing stains? A:Replacing stained pavers is the easiest or some can be flipped over. However, there are special cleaners made that will remove stains or do surface cleaning.